Once again we enter Andre Norton’s Witch World series, readers! Now, I know some of you are impatiently waiting for reviews of a Dean Koontz and a couple of Star Wars books to appear here. Fear not, please, they will be forthcoming! However, The Gate of the Cat and a couple of other novels have been patiently awaiting my attention, to the point that they are now becoming annoyed with me. As soon as they’re taken care of there will be analyses for Star Wars and Dean Koontz. Until then, we must turn to today’s subject: The Gate of the Cat. The book starts out with young Kelsie McBlair heading out during the night to try and find an injured wild cat on her land. An American with Scottish heritage, Kelsie came to Scotland following a distant relative’s death in order to see if she would fit in at the ancient family estate and the town around it. But her real desire is to be a veterinarian – something that makes it hard for her to accept the hunting practices of the Highlanders. They like their deer hunts and consider wild cats to be vermin, attitudes which infuriate our heroine. So when she’s tracking down an injured wild cat on her property, it doesn’t take her long to recognize the man prowling that she spots preparing to shoot same animal. Furious that Neil McAdams would pursue the wounded creature – and on her land, no less – Kelsie knocks his aim off, spoiling his first shot. When he tries to fire again, she makes another attempt to stop him. In the ensuing struggle, the cat escapes through a stone arch moments before the man hits Kelsie and sends her tumbling through the same portal. As you may have guessed, this is no ordinary stone arch. Nor is it your run-of-the-mill ancient Druid site. No, the three stones which make up this archway are a gate to another world; in this case, the Witch World. They specifically lead to Escore, the country to the east of Estcarp. A land of old balances that have been upset, Escore is was in the midst of a “cold war” before the arrival of the three Tregarth heirs. Now that “cold war” has become very hot, so that Escore is once again torn by conflicts between the Dark and the Light. Kelsie literally tumbles into the midst of the hostilities after falling through the gate. Awakening sometime after her fight with McAdams, she gets to tend to the wild cat as she wished. But she also finds she is in a “dream” or nightmare world – one she can’t seem to wake up from. After attending to the cat, Kelsie has to do battle with creatures of the Dark, including a Sarn Rider and his pet hound. Confused and frightened, Kelsie winces when a strange call echoes in her mind. A yowl from the cat, which takes off toward the “sound,” convinces her that she wasn’t the only one to hear it. Following the animal due to the pull of that strange mental summons, Kelsie comes across the remains of a war party. The lone woman in the party, though she is dying, is holding off yet another hound with a sparkling jewel in her weak hand. Kelsie manages to drive the hound off and keep it at a distance, then turns to try and help the dying woman. But there’s no help for Roylane, as the Witch identifies herself; there is only the “last gate” – death. Still, the dying Witch from Estcarp manages to give her jewel to both the cat and Kelsie, who eventually return the stone arch and the rocks that join it to form a rough circle. 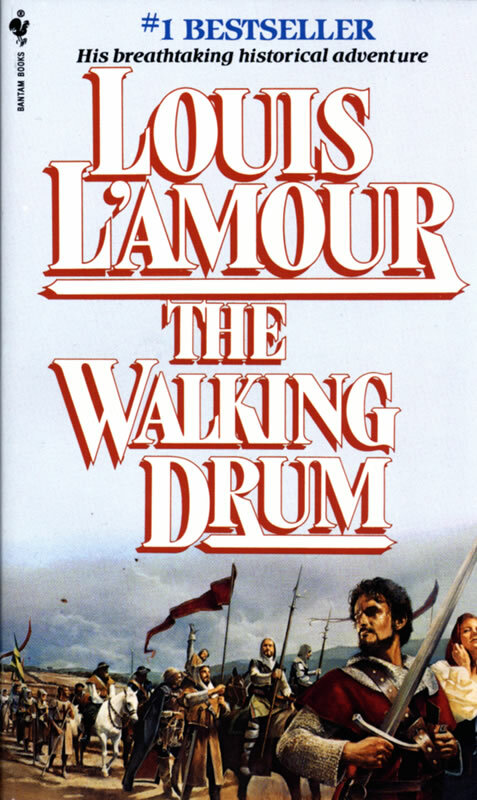 More trouble arrives as the hound follows them, attempting to gain entry to the circle by forcing one of Roylane’s dying companions through the archway. Only the timely arrival of Dahaun and a man from the Valley of Green Silences saves the two from the canine’s evil intentions. On discovering that Kelsie is not of the Dark, Dahaun and her companion take the girl and the cat back to the Valley. There they help her clean up, start teaching her their language, and feed her. But when Simon Tregarth arrives and addresses her in English, Kelsie is thrilled to meet someone whom she can talk to plainly. She immediately asks how she can get back home and Simon has to tell her – repeatedly – that as far as anyone knows, there isn’t any way to get back to Earth. This is where I leave you, readers. The Gate of the Cat is a good story, though recently this blogger seems to have lost some of her old interest in it. I don’t know why that is – it’s an enjoyable tale, with lots of adventure and many strong points. Perhaps the finale is too open-ended for my taste; Andre Norton didn’t always put her heroes and heroines together, but when she did she made it plain that they were in love. In this novel, that wasn’t the case, which kind of annoyed me. I wanted a definite yes or no on the potential romance in this tale. But all I received was, “Maybe it is, maybe it isn’t; why don’t you decide?” Sometimes, if the writer leaves enough clues, this type of ending is not an unpleasant one for me. But if there’s a dearth of evidence, I tend to hate such finales; I’m not sure the Andre Norton left enough breadcrumbs to confirm the hero and heroine’s mutual attraction, let alone their eventual happily ever after. Of course, it’s entirely possible that she did do this, and I’m just being stubborn. Either way, The Gate of the Cat IS a good, worthy read. It just doesn’t seem to appeal to me as much as other Norton books do. Hopefully, though, this won’t be a problem for any of you, readers. Pick up and read The Gate of the Cat at your earliest convenience. 😉 ‘Til next time! This entry was posted in Book Reviews and tagged Andre Norton, Book Reviews, cats, Dean Koontz, Escore, Estcarp, magic, Simon Tregarth, Star Wars, The Gate of the Cat, veterinarian, Witch World, witches on September 28, 2018 by The Mithril Guardian. 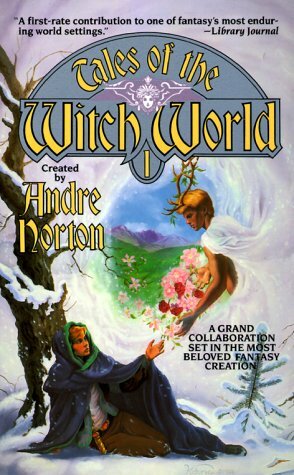 About a year ago, maybe two, I covered Andre Norton’s famous first Witch World novels: Witch World and Web of the Witch World. As you may remember, those books detailed the arrival of Simon Tregarth to the Witch World from Earth. After several adventures in this new world, Simon married the Witch Jaelithe who, though she was cast out of the Witches’ Council, retained her Power after marrying him. Three Against the Witch World is set after the Kolder War, at the very end of the year. Told from the point of view of Kyllan Tregarth, he describes how his mother, Jaelithe, gave birth to triplets. This was astounding because no one in the Witch World had ever had more than two children at once. Not in recorded memory, at least; if it ever happened before, it is lost in the Witch World’s ancient history. But the birth was difficult, leaving Jaelithe lethargic and nearly catatonic for an entire year. This nearly drove Simon mad, and his work on Estcarp’s border with Karsten came dangerously close to killing for killing’s sake. Only when Jaelithe recovered did he calm down. And the children? 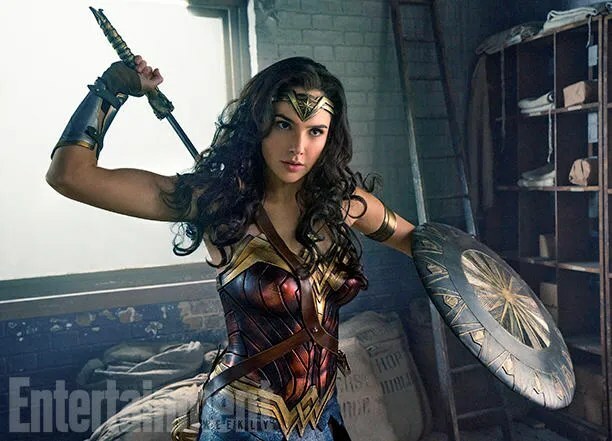 There were three: Warrior, Sage, and Witch. Kyllan is the warrior. He reached for a sword hilt when he could only crawl. The first born, Kyllan is not prone to asking questions or thinking on ancient mysteries. He is a man made to face the present moment, the desperate hour of battle. Kemoc, the second of the triplets, is the Sage, the one with all the questions. He pries into records, old knowledge, and wants to learn anything and everything. Kaththea, the third triplet, was born almost immediately after him, and so the two have always been closer to each other than to Kyllan. Though not displayed in her early life, Kaththea has the same gifts as her mother; she is the Witch. With Karsten maintaining its aggressive stance toward Estcarp, Simon and Jaelithe have to spend almost all their time on the border. Thus they rarely interact with their own children, whom they leave in the keep of their old friend, Loyse of Verlaine, the wife of Koris of Gorm. The children’s only real mother is Anghart, a Falconer woman who left her village after her own deformed son was killed. The Falconers cannot tolerate weakness of any kind in their ranks because of their harsh lifestyle as mercenaries. And so, like the Spartans of old, they traditionally dispense with any child that is crippled or somehow blemished – even by, say, a large red birthmark splattered across their face. So Anghart is cold and distant to all in the keep. Only the Tregarth triplets, whom she cares for as her own, know her true warmth and nature. But when Kaththea accidentally intercepts a message sent by a Witch to the Council, asking for aid, their bond activates in response to the urgency of the summons. Captured by Karsten raiders, the Witch called her Sisters for help, and Kaththea was in the line of communication. She and her brothers immediately used their special connection to find the Witch and then help the Borderers save her. But in doing so they revealed Kaththea’s talent. The Witches do not care for men, and because Jaelithe had left the Council, they did not test her daughter to see if she had the Power. With this rescue of the Witch, however, Kaththea’s Power has been revealed to them. The Council demands the right to test her and, if she proves to have the Power, to take her as a novice who will someday become a full-fledged Witch. Although they almost never spend much time with their children, the Tregarths are no less protective of their offspring than any other parents. They flatly tell the Council that Kaththea is off-limits and will not be tested. But the Council is patient, and when Simon goes missing two years later, Jaelithe chases after him once she has found his location with the help of their children’s Power. Years later, despite their parents’ best attempts to guard them, while Kyllan and Kemoc are with the border guards, the Council strikes. Sensing Kaththea’s cry for help, her brothers take off immediately to protect her. It takes the two of them a couple of days to get to the keep, where they find Anghart, barely alive. She stood by her foster daughter to the last, throwing herself between Kaththea and the Witches. When she would not be persuaded to move, they tore her will to live from her with their Power. Though she has the will to live long enough to tell Kyllan and Kemoc what happened and to advise them on how to rescue their sister, she dies two days later. And so the Tregarth brothers remain Borderers, protecting Estcarp from attacks committed against their nation by Karsten, biding their time until they can find a way to save their sister. In one of these skirmishes Kemoc’s sword hand is injured and he has to be sent to Lormt to recover. When he comes back, he tells Kyllan he has learned where their sister is and where the triplets may hide from the vengeance of the Witches: in the East. Why is this so special? For all those in Estcarp save Simon and his three children, there is no East on the map. There is not even a recognition of the word in the minds of those Kemoc has asked about the East. It is as if something blocks them from traveling or even thinking in that geographical direction. The sequel to Three Against the Witch World, this novel is from Kemoc’s perspective. Living in the Valley of Green Silences with its people, his brother, and his sister, Kemoc leads raids against the evils that prowl the Eastern land known as Escore. Kyllan has married a high lady among the People of Green Silences – Dahaun – but Kemoc and Kaththea as yet have no such heart-ties. Until a man named Dinzil arrives with his people to join in the Valley’s defense. Kaththea and he get along right from the get-go, and he is well known by reputation among the People of the Valley, not to mention well-liked for his charm. The only one who cannot stand him is Kemoc. It is not that his sister, with whom he has always been close, is showing favor to the man. That bothers him, but not in the way you might think. The reason that it bothers him is that he instinctively dislikes Dinzil. He cannot find a reason for his aversion; he only knows that every time he gets close to the guy, he has to restrain the urge to grab for his sword. The fact that Kaththea and Kyllan do not have this problem, and that Kaththea is dazzled by Dinzil, only makes matters worse for the Sage. Dahaun figures this much out through observation and asks Kemoc what his problem is. Kemoc admits that he does not want to speak ill of an ally, nor does he want to accuse a man without proof. He only knows that something about Dinzil feels wrong. He cannot say it any other way. Unlike his siblings, Dahaun accepts Kemoc’s instinctive assessment of the man. She knows Dinzil’s reputation, knows that he has been vouched for by others as a servant of the Light. But she is not willing to dismiss the second Tregarth youth’s concerns out of hand. Instincts can be as good as knowledge or reason; sometimes, they can be even better than those. In this case, she thinks he may be right and promises to keep as close an eye on Dinzil as she can. At the lake the Krogan call home, Kemoc meets Orsya, one of the Krogan women. Later on, the Krogan emissary states that his people wish to remain neutral. Though of the Light and not allied with Darkness, they are tired of war and just want to be left alone. Kemoc and his guide/commander leave the lake peacefully. But on the return journey, Kemoc is separated from his friend by a flood. It is not a natural flood, either; Kemoc feels as though this flood was conjured up by something or someone of the Dark. He gets back to the Valley eventually – only to learn that Kaththea, distraught at his disappearance and her inability to find him by mind touch, has gone with Dinzil to use that man’s “means” to locate him. Though no one else is worried, Kemoc sets out almost at once to find her. His every instinct is screaming that this was a trap set for his sister, and he has to find her before she is killed. Or worse…. The final book in this trilogy of Witch World novels is from Kaththea’s point of view. After the events of Warlock of the Witch World, Kaththea was left in a childish, not-quite amnesiac state of mind. She has had to relearn everything, and her memory has come back slowly. Soon, though, the only things she does not truly remember are what she did while she was with Dinzil. Nevertheless, her dabbling and subsequent mind wipe have left her open to the wills of the Dark things that roam Escore. Finally, she can stand the nightmares no longer. She decides to go back to Estcarp to find a surviving Witch to retrain her in the use of her Power. The plan goes awry, though, when an avalanche separates her from her brothers in the mountain pass that leads back to Estcarp. Alone and unable to contact her brothers due to her weakened mind bond with them, she can only hope that they are still alive and that she will be able to return to them and the Valley. That idea seems destined to die when a primitive man finds her and takes her back to his tribe – which turns out to have an old, old, old Witch guiding it around Escore’s myriad dangers. Although she does not like being in this tribe or her separation from her brothers, Kaththea instantly recognizes that this Witch can help her regain control of her Power. This arrangement works well enough – until the old woman appoints Kaththea her replacement in the tribe’s society, seconds before she topples over dead! Trapped with a tribe she does not want to lead, Kaththea slowly breaks free of the spell holding her to these people. When her attempt to safely guide the tribe ends in a massacre, Kaththea escapes, with only her most bitter enemy for company as she searches for a way back to the Valley. It is through these events that Kaththea becomes the Sorceress of the Witch World. Wow, that was a longer post than I had intended to write. Whew, I did not realize how much I would have to say to whet your appetites, readers! I think I will sign off now and let you look up these books yourselves. ‘Till next time! This entry was posted in Book Reviews, Youth Books and tagged Adepts in magic, Andre Norton, Anghart, Book Reviews, books, Escore, Estcarp, Falconers, fantasy books, Fantasy/Sci-Fi, Grand Dame of Science Fiction, High Hallack, Hilarion, Jaelithe, Kaththea Tregarth, Kemoc Tregarth, Kolder, Krogan, Kyllan Tregarth, magic, Orsya, paranormal, Parapsychology, Sage, sci-fi books, sci-fi novels, Sci-fi/Fantasy, Simon Tregarth, Sorceress of the Witch World, Sparta, Spartans, telepathy, Three Against the Witch World, Warlock of the Witch World, Warrior, Witch, Witch World, witches on June 16, 2017 by The Mithril Guardian. 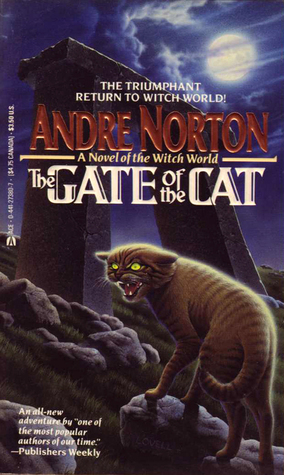 Here is that next Andre Norton book I promised to review some time ago. This book is not entirely Miss Norton’s creation. It is an anthology book, which contains several short stories set in Miss Norton’s Witch World universe. Miss Norton only wrote one story in the whole volume. The others were written by her protégés, authors she helped to get noticed and published by the companies who published her work. It is a long list of authors she helped to get started, readers. If you are not familiar with the Witch World, you can check out a couple of my other posts about that universe here on the blog. But the Witch World is wide and varied, and those last two posts are just glimpses of a bigger world. Some of these stories will not make much sense if you have only read Witch World and Web of the Witch World. So this is why I am going to list which stories in Tales of the Witch World are good, and which you may want to avoid. To start with the negatives first, it would be best to avoid Heir Apparent, Cat and the Other, To Rebuild the Eyrie, Milk from a Maiden’s Breast, and Green in High Hallack. None of these stories are particularly well written, in my opinion, and some of them do not fit properly with the rules Miss Norton’s established for her world. Heir Apparent is told from the villain’s perspective, and so I found it very annoying. Cat and the Other played fast and loose with the rules of Estcarpian society, the niceties, as it were. The honorifics were sloppy and insincere sounding. This makes it grate on my nerves, and so I do not recommend it at all. To Rebuild the Eyrie, which focuses on a young Falconer trying to reestablish his people’s base in the twisted southern mountains, was so poorly written that I did not even finish reading it. These are the stories in the book that I avoid and therefore do not recommend be read. What you wish to read or not read, however, is for you to decide. The only reason I have gone to the trouble of listing the stories which drive me crazy is because I cannot, in good conscience, recommend stories I hate. If you like them, that is your prerogative. My imperative is simply to be as honest as possible when I give my opinions. On the positive side, I enjoyed most of the other stories. A few of these came dangerously close to breaking Miss Norton’s format, but they were well written and therefore managed to avoid irritating me too much. The first story in the book is by Andre Norton herself. This one is called Of the Shaping of Ulm’s Heir, and it is an introduction to the story of Kerovan, a character who lives in High Hallack, the western continent of the Witch World. Kerovan’s stories usually involve gryphons; one of the books that feature him and his wife is called Gryphon’s Eyrie. I have only read that one story which was based on him and his wife, and so I do not know much about him. Of the Shaping of Ulm’s Heir fills in some of the blanks for me, but I have much more to find out about him yet. Then we have Fenneca and Bloodspell. Both these stories also take place in High Hallack, I think. Fenneca may actually take place in Estcarp; the location is never exactly stated. Fenneca breaks a few rules, but it is written well. I am therefore willing to forgive Wilanne Schneider Belden and to recommend that Fenneca be read. Bloodspell was written by A. C. Crispin. Crispin co-wrote several novels with Miss Norton, and then went on to write a few Star Wars novels. Bloodspell takes place in Arvon, a state in High Hallack which is beyond the Dales. In Year of the Unicorn, it was implied that no one in High Hallack could enter Arvon except through luck or the gates which connect the Witch World to Earth. Bloodspell does not break this rule, but another story later on in the book does. Crispin’s short story focuses on the Were-riders. Men who were bespelled by an Adept so that they can shape shift into animals, the Were-riders call themselves a Pack. We learn about them first in Miss Norton’s Year of the Unicorn, a very good book I will someday review here. For now, it is enough to say that Crispin wondered why the Were-riders were kicked out of Arvon into the Dales of High Hallack. Miss Norton said she did not know why, and this allowed Crispin to give us the reason in Bloodspell. Next is The White Road, by Charles de Lint. This story is set in High Hallack immediately after that country has been freed from the Hounds of Alizon. It is fairly well written and takes little liberty with the established rules of Miss Norton’s Witch World. I would give it four out of five stars, if pressed to rate it. Then there is Oath-Bound, by Pauline Griffin. After Miss Norton, Miss Griffin is the one writer I would trust to successfully tell a story about a Falconer. This story seems to have preceded Seakeep and its sequel; Miss Griffin’s writing here is good, but by her later stories in Storms of Victory and Flight of Vengeance her writing had greatly improved. I rate Oath-Bound as a somewhat lesser story for this reason, and no other. Of Ancient Swords and Evil Mist and Nine Words in Winter follow. These stories skate close to breaking Miss Norton’s established laws in the Witch World, as well as the history she had formed around the countries where they take place. However, their writers knew their craft, and so the stories do not truly grate on this reader’s nerves. Were-Hunter, by Mercedes Lackey, is a very good story. Truth be told, I cannot stand Miss Lackey’s novels (she co-wrote novels with Miss Norton). The woman puts a great deal of detail in her novels – too much detail. She has to explain the whole universe, all the scenes, characters, customs, and clothing in great specificity. This means her novels suffer from a burden of too much description and not enough story. What is more, the resolutions of her novel conflicts are often anti-climatic and unfulfilling. As a novelist, she drives me crazy. But as a short story writer, she is not so very bad. Were-Hunter is a good example of this. The story is set in Arvon, as a sequel to Year of the Unicorn. Miss Lackey’s handicaps are assets here, and Were-Hunter is one of the stories in Tales of the Witch World that I like best. I do not understand how I can enjoy her short stories and hate her novels, but I do. Then we have Neither Rest Nor Refuge. This story is set in Karsten at the time when the Old Race was thrice horned, or outlawed, and killed by Duke Yvian in Witch World. It is written well enough that it garners my appreciation for that reason. It also introduces a male character native to Estcarp who can wield the Power. The ending is a cliffhanger, so do not expect too much from it. Still, it is a passable story. Next are Night Hound’s Moon and Isle of Illusion. Night Hound’s Moon is set in the Dales of High Hallack. It takes place either some time after the end of the war with Alizon, or during a lull in the conflict. Other than that, it is an entertaining story. Isle of Illusion does not adhere very well to Miss Norton’s rules for magic, in my opinion, but it is otherwise well-crafted and the writer knows her business. I do not know just where in the Witch World that Isle of Illusion is set. Seemingly, it is off the coast of High Hallack, but I cannot say for sure. And last we have The Road of Dreams and Death. Robert E. Vardeman writes well, but I think he should have read a few more of Miss Norton’s Witch World novels before diving into this tale. In The Road of Dreams and Death, the barrier between Arvon and the rest of High Hallack is non-existent, when by rights it should still be there. This is the one thing about the story I do not understand and which rankles when I read it. Otherwise, it is an acceptable yarn. This entry was posted in Book Reviews, Youth Books and tagged A. C. Crispin, Andre Norton, Ardath Mayhar, Book Reviews, books, Caralyn Inks, Carol Severance, Charles de Lint, Elizabeth Scarborough, Fantasy, fantasy books, Fantasy/Sci-Fi, James R. Heidbrink, Kiel Stuart, magic, Mary H. Schaub, Marylois Dunn, Mercedes Lackey, Pauline Griffin, Robert Bloch, Robert E. Vardeman, Sasha Miller, sci-fi books, sci-fi novels, Sci-fi/Fantasy, short stories, Tales of the Witch World, Wilanne Schneider Belden, Witch World, witches, Youth Books on November 25, 2016 by The Mithril Guardian. Perhaps it has been viewed again, perhaps it has not, but some time ago I wrote a post about an Andre Norton book called Storms of Victory. Set in the author’s famous Witch World, I spent a long time describing her fantasy universe, mostly because I love it and the story so much. Doubtless, the length of that praise wearied many an eye; the post has not been one of my most popular pieces. 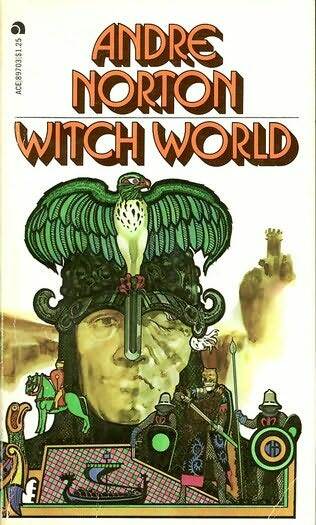 Despite that, I am once again returning to Andre Norton’s Witch World. But this time I start at the beginning, with the books that began it all. 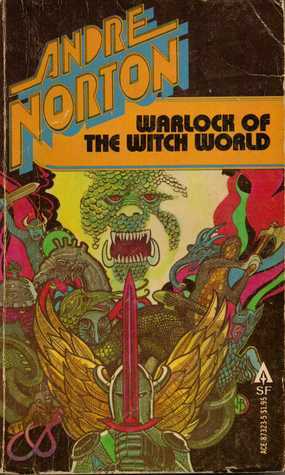 Witch World is the first venture Andre Norton took into that universe. Simon Tregarth, a former American soldier who served with distinction during World War II, is on the run. Accused of a crime and hunted by an Organization he at least has some knowledge of (if not association with), Simon stumbles into a meeting with Dr. Jorge Petronius, a man who can make hunted men ‘disappear’ to places beyond the Organization’s reach. Simon is, by now, desperate enough to listen to Petronius. A man named Sammy (by the sounds of it, he is a hit man) has been sent after Simon. Those who tangle with Sammy do not live to tell the tale, and though Simon is a good fighter, even he doubts his ability to stand against this hunter for very long. The thought of beating him is one Simon does not entertain; no one has been able to defeat Sammy yet. And if someone does vanquish him, then odds are that that person will be Sammy’s replacement. Petronius takes Simon to his home and, after being paid, sends the World War II veteran to another world via a stone seat in his back garden. There, Simon meets a woman who can channel strange forces. This woman is on the run from men who have weird, nasty hounds at their beck and call. The two have to work hard to get away, but they do and eventually run into a patrol of the alien woman’s people. Leading this band of warriors is Koris of Gorm. But when he asks his female compatriot’s name, Simon finds he has erred. The woman frowns, as does Koris who reaches for his weapon. Simon raises both hands and says, “Sorry.” Only later does he learn that no one may be told the name of a Witch of Estcarp. With nowhere else to go, Simon joins the warriors’ band and returns with them to their capital: Es City. There he learns more of the people’s language, finds the buildings have plumbing, and that there are strange lighting mechanisms in the guards’ barracks. Lastly, he is brought before a head Witch; the Witch whom he rescued is standing beside her. They ask Simon if he is willing to stay in Estcarp, and he says he is. He then becomes a member of the Guard of Es City, a soldier under the command of Koris of Gorm. But Estcarp also has something else: the Witches. Women of the Old Race who are born with “the Power,” these Witches can manipulate all the elements, earth and water especially. They also have telepathy and the power to make illusions. A woman with the Power who becomes a Witch swears off all contact with her family when she joins the Sisterhood. She leaves behind everything, even her very name, and becomes known only as a Witch. The mark of the office of all Witches is the jewel they wear to focus their power for casting spells or blasting something – or someone! Witches also cannot marry, and they cannot have any relations with a man. Doing so means their Power is reft from them; they must not have ANY intimate contact with a man. The enemies of Estcarp know this, and they have taken advantage of this weakness in the Witches’ defenses when they have caught a live Witch. All girls born to couples of the Old Race are tested at age six to see if they have the Power. Since most of Estcarp’s population consists of the Old Race, the Race which brought forth the Witches, a lot of girls posses the Power. With most of their women becoming Witches, the constant drains on their manpower in the never-ending battles on their borders and, now, the threat of the alien Kolder, the Old Race and the Witches of Estcarp seem doomed to extinction. Also, as a side note, it is believed by the Witches that no man may wield Power. If a man does wield Power then he is thought to be of “the Dark” or “the Shadow,” and must therefore be destroyed. So Simon throws a real wrench into Estcarp’s established balance when it is learned that he has some measure of the Power but is not of the Dark or the Shadow. At the end of his first adventure in Estcarp, Simon helps to deal the Kolder a damaging blow. He also learns the name of the Witch he first met on Estcarp’s northern border: Jaelithe. Web of the Witch World is the second book in the series, and at its beginning we find that Simon and Jaelithe have married. Naturally, in Web, things get tougher for our heroes. The Kolder, though dealt a hard defeat in the previous book, step up their attacks. They revenge themselves on Estcarp for their earlier defeat by kidnapping Koris’ betrothed, Loyse of Verlaine. Simon, loyal to his friend and commander, ends up behind enemy lines trying to find Loyse. In the midst of this, Jaelithe discovers that she still possesses her Power. As I said above, it is widely believed in Estcarp that when a Witch lays aside her jewel and marries – or has relations with – a man, she loses her Power. Only those Witches who have never been with a man can wield the Power. But Jaelithe has married and she still wields Power! What is more, she learns that she and Simon can combine their Power and so can become more than either of them were alone! Despite this, when Jaelithe hurries back to the Witches’ Council (the ruling body of Estcarp), to ask for her jewel to be returned to her, the Witches refuse to hand it over! They deny the fact that Jaelithe still has Power – though even a blind Witch could see that she does indeed retain her Power – and say that, since she left the Sisterhood, she cannot come back. And she definitely cannot have her jewel back! Jaelithe is rightly furious. Not only has the Council refused to give her back her jewel, they have refused to believe the truth: that a lawfully, happily wed Witch and wife can still wield Power. Jaelithe has discovered something that has the potential to bring Estcarp back from the brink of a demographic twilight, but her former sisters will not admit that. Why will they not return her jewel and admit to this? I guess, in the end, it all comes down to power. Not the Power, but power over the affairs of Estcarp. The Witches’ Council has ruled the country for centuries. They are in charge; everyone comes to them for answers, protection, and justice. They hardly want to share all of that with men! What is more, since men in Estcarp do not traditionally wield Power, the Witches have come to hold them in complete contempt. Men wield swords, fight on the battlefield, and hack each other to pieces. They are brutes, whereas the Witches are more refined, more cultured. They are smarter than men, and can wield forces men cannot even dream of touching. What is a man compared to a Witch? Even if they will not see, however, Jaelithe does. When Simon is captured by the Kolder and held alongside Loyse, Jaelithe goes after them both. It takes some work, but between the two of them, Simon and Jaelithe manage to get them both back to Estcarp. Jaelithe often joins or uses her Power with Simon’s in order to accomplish this. 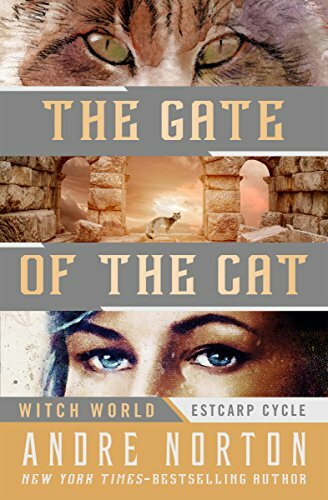 Once Loyse and Simon are safely back in Estcarp, Jaelithe and her husband both turn their attention to the “Kolder nest” – the base that guards the gate by which the aliens came to the Witch World. This is a pretty rough diagram of the first two Witch World novels, readers. Suffice it to say that I think these first two novels of the Witch World are great. 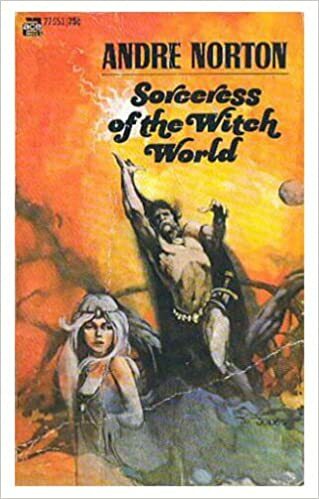 And although you can enter the Witch World through any one of the novels Andre Norton wrote, you may want to begin reading the series with Witch World and Web of the Witch World. It is always best to enter a story by the front “gate” after all! And believe me, it saves you a lot of confusion in this series if you read these first! 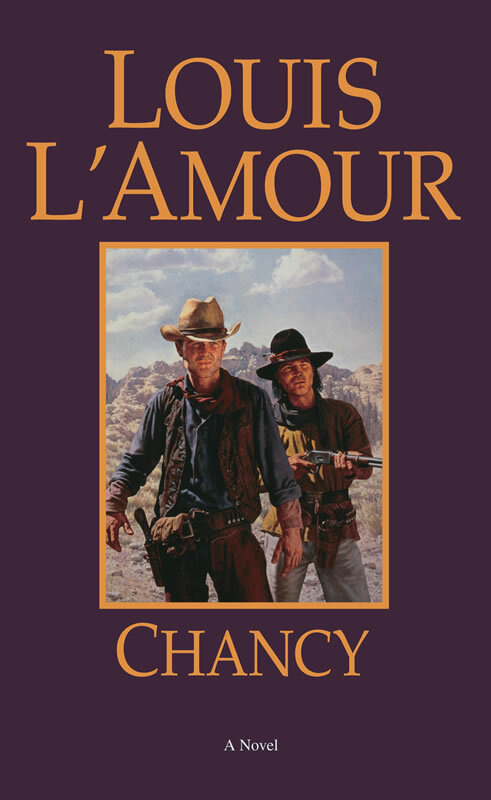 This entry was posted in Book Reviews and tagged Andre Norton, Book Reviews, Estcarp, Fantasy, Fantasy/Sci-Fi, Jaelithe, magic, Simon Tregarth, Storms of Victory, Sword and Sorcery, Web of the Witch World, Witch World, witches, World War II, Youth Books on September 18, 2015 by The Mithril Guardian. This entry was posted in Quotes and tagged Andre Norton, Fantasy, fantasy books, Quotes, sci-fi, Sci-fi/Fantasy, Science Fiction, Simon Tregarth, Witch World on May 17, 2014 by The Mithril Guardian. Andre Norton was a prolific writer of fantasy and science fiction during her lifetime. Before her death in 2005 she completed her final book, Three Hands for Scorpio, a fantasy novel. Whether she is better known for her science fiction stories or her fantasy novels, I do not know. Both are popular with me, especially the line of fantasy novels that launched Miss Norton to fame. This line of stories is her Witch World novels. The Witch World is a medieval world linked to Earth and other worlds by a series of gates. Depending on which novel one picks up and reads, the gates may or may not have a great deal to do with the story. In any case, some of these gates are large enough to bring great numbers of people to the Witch World, while others can admit only one person at a time. There are many cultures in the Witch World, which can confuse the new reader somewhat. I thought I would touch on the few which relate to today’s subject, Storms of Victory – a book containing two short stories set in the Witch World – so as to give any new readers a ‘map’ of this world. The first civilization that readers encounter in the Witch World is that of Estcarp. Initially, Estcarp was ruled by the Witches’ Council, a council made up of women with the ability to wield Power. Power in the Witch World is not magic per se – though it certainly acts like it, and it can be used to cast ‘spells.’ In the first novel Power is said to be fed by will, imagination, and faith. Using this Power, focused through jewels each Witch wears, the Witches can control most forces (notably water and earth) and also perform acts that sound a great deal like telekinesis and telepathy. During the course of the novels, however, the Witches’ rule over Estcarp declines when their numbers are decimated. Another society in the Witch World is that of the seafaring Sulcar. The Sulcar are usually traders, but they also tend to act as Estcarp’s navy. They raid into the countries of Estcarp’s enemies and will intermarry with citizens of Estcarp from time to time. The Sulcar go to sea in clans; their men, women, and children all work and live aboard their ships. They traditionally have little to do with Power beyond some control over ‘wind and wave,’ an ability only their wise women appear to possess. The Falconers are a reticent race, but they do have two other distinguishing characteristics. They hate ‘witchery’ and they hate women; holding both in complete contempt and often referring to the latter simply as ‘mares.’ Though they deal courteously with outside women, they generally avoid them and only have contact with their own women at set times of the year. What? Their race needs to continue somehow. As it is, the Falconers have a good reason for their dislike of both witchery and women. But you do not need to take my word for it if you read Storms. The Witches especially find this Falconer practice repulsive, so they forbade even trading with the Falconers. The general population of Estcarp and the rest of the Witch World find it an odd custom, too. The Witches’ ban was later ignored – for very good reason – and by that point the Witches no longer cared. Despite the Falconers’ barbaric treatment of their own women, there is something extremely intriguing about this fictional race Miss Norton made. I have to say I really enjoy the Falconers, no matter their attitude toward women and most forms of Power. All right, now to finish the crash course in the Witch World. The nation of High Hallack directly influences the second story in the book. Miss Norton once said that High Hallack was based on America, as suggested by the fact that High Hallack is in the Western hemisphere of the Witch World. Its geography is composed of a patchwork of independent valley dales – called simply the Dales of High Hallack – ruled by various medieval lords. In that way, the Dales seem somewhat reminiscent of the states. High Hallack has no one group of rulers and no one ruler: each Dale is ruled by a lord and his family and no one gets to tell them how they ought to run it. There is also no united group in the Dales that wields Power, as the Witches in Estcarp did. Though some in High Hallack possess Power, they are mostly Wise Women. Others who have some Power may be among the ruling Dale families, but if so their Power is often either an ancient gift or an ancient curse. To the west of the Dales is the Waste, where a great many remnants of strange, bygone peoples – who most certainly did wield Power (and lots of it) – are still found and felt. Most people in High Hallack do not like the Waste and will not go into it if they can possibly avoid doing so. Those who do enter the Waste come back changed, for better or worse. In the preceding novels, High Hallack had experienced an invasion from a country north of Estcarp called Alizon. Alizon and Estcarp do not get along in the least, so when invaders from another world – the Kolder – tried to conquer both Estcarp and High Hallack, they enlisted the help of Alizon. Estcarp was familiar with Alizon and had less trouble with that country than High Hallack had fighting this foreign enemy armed with alien weapons. High Hallack finally beat the Hounds of Alizon (they are apparently called Hounds because their families and clans are set up like dog packs; they actually refer to their siblings as ‘littermates’) and drove them out of the Dales. Still, the prolonged war depleted the manpower of most of the Dales and left many holdings without a ruler. The short stories in Storms of Victory are preceded and ended with reflections from a former border warrior of Estcarp named Duratan. The book begins with Duratan recounting his life and the events that led him to the place of records where he has begun living. This place is a worn down, centuries old keep called Lormt (do not ask me how to pronounce it; I make do the best I can with it). At Lormt he begins to take an interest in chronicling the stories of those who briefly benefit from the inhabitants’ hospitality. Duratan soon discovers he has some of the Talent – the Power the Witch women wield. The Witches maintain that no man can wield the Power; if men do, then they are evil. Now, this cultural idea has been stood on its head from the first Witch World novel onward, but that does not make the Witches’ any more amenable to men who have Talent. Since Duratan is so far out of the way at Lormt, he has nothing to fear from the Witches. And soon he does not have to worry about them at all. An enemy country to the south of Estcarp, Karsten, amasses an army to march on and invade them. Karsten has been about as friendly to Estcarp as Alizon has been over the years, so this attack is hardly unexpected. But there is no way that Estcarp has a prayer of matching Karsten army to army. The fact that Estcarp has been fighting on three fronts – northward with Alizon, southward with Karsten, and then with the alien Kolder – for years means they have few fighting men left to defend them. Even the Falconers are not numerous enough to stand against all the invaders. The only barrier between Estcarp and Karsten’s army is the mountains that form the southern border, the mountains where the Falconers live. So the Witches resort to a dangerous plan. They evacuate everyone – or everyone whom they can reach and will listen to them – from the mountains and the surrounding areas. This includes the tightlipped Falconers and Estcarp’s own border men. Then, once everyone who has answered the summons is out of the way, the Witches combine their shared Power. As the army from Karsten is marching through the mountains, the Witches turn them. They do not turn the army. No, they physically twist and reshape the mountains on their southern border. But this astounding achievement comes with a heavy price, namely the lives of most of the Witches’ Council. In one move, Estcarp is saved from its southern enemy and reft of more than half of its rulers. This event is then known throughout Storms of Victory and other volumes as The Turning. Despite the loss of so many Witches, Estcarp manages not to fall into utter chaos. The Guard Captain of Es City, the capital of Estcarp, takes command of the nation and tries to hold the country together. That is where the first short story, The Port of Dead Ships, begins. The Port of Dead Ships introduces the reader to old faces from Norton’s previous Witch World novels: Simon Tregarth, an Earthman from World War II with Power who upset Estcarp’s idea of Power wielders; Jaelithe, his wife, a former Witch; Kemoc Tregarth, Simon’s youngest son who also wields Power; and Orsya, Kemoc’s mutant wife from an eastern country called Escore. Orsya, one of the Krogan people, needs to swim at certain hours of the day or she will literally dry up and die. Then we are re-introduced to Koris of Gorm, a misshapen dwarf with a handsome face and fine honed war skills that earned him the position of Captain of the Guard. Gorm was an island nation off the coast of Estcarp which was captured and ‘ravished’ by the Kolder. Everyone on the island is dead; it has only a few inhabitants – the Estcarpian guards who keep watch to make sure none try to steal the alien tools remaining there. With the fall of the Witches’ Council Koris has become ruler of Estcarp in all but name, having not declared himself master of the realm. With him is his wife, Loyse of Verlaine, the daughter of a Karsten noble whose line lured ships to their destruction and plundered the cargoes from the wrecks. Hating this life, Loyse escaped to Estcarp, where she met and married Koris. These six are in council with a Sulcar captain. The captain has word of ships being lost in the south; with the threat from Karsten eliminated and Alizon reduced to petulant raiding on the northern border, the interim of peace has allowed the Sulcar to begin practicing their merchant skills again. Except that a handful of ships, sailing south in search of old and new trade, have been found adrift. More disturbing, the ships have been found with their cargoes intact but the entirety of their crews gone. There are no bodies, no signs of struggle. The ships have been found completely empty of human life. A scary find indeed, especially for those who make their life on the sea. Since no physical trace can be found of the crews, the only answer the Sulcar can come up with is that these strange disappearances are the work of some dread Power. Despite constant remembrances of the terrible Kolder war, these ‘dead’ ships do not bear the signs of the same tools. It appears that whatever Power is the cause of the mystery is based squarely in the Witch World. 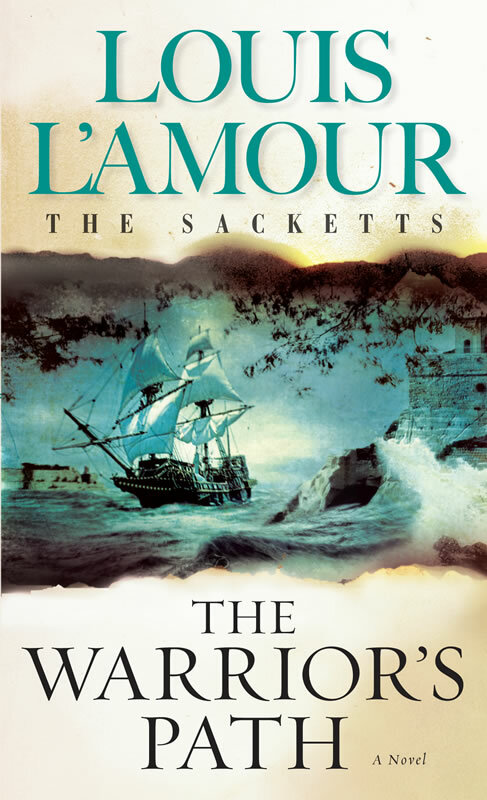 The Sulcar captain has come to ask the aid of those with the Power to find the source of the dead ships. However, he has found no help from the remnants of the Witches’ Council. They are working hard at the moment to try and regain their former strength. Also, the blow to their numbers has dealt a worse blow to their pride. They have had their way for too long and, now that they can no longer have it, they refuse to do anything other than nurse their wounds and build their power up again. So the captain has come to this council particularly to ask Jaelithe’s help. Although she is no longer officially a Witch, she has not lost her Power, and he is hoping that she can find out what is causing the problem. However, Jaelithe does not have the skill for a ‘farseeing’ of such magnitude. But the narrator of Dead Ships, the Sulcar woman Destree M’Regnant, does. Destree also has the ability to read a person’s future, which usually turns out ill for the person she has read. This happened to the captain’s brother, so he hates her for simply existing, and the dire readings of her particular Power has made her an outcast among the clannish Sulcar her entire life. Despite all this, Jaelithe is determined to have her help whether the captain likes it or not. Destree ‘farsees’ a place to the south, the place where the ships have been disappearing. In doing this she discovers volcanoes spawning new islands somewhere in the same direction. But these events are not nature-born. Something, some Dark Power, is building these new islands for a purpose. And any purpose of something of the Dark is bad, bad news. Maintaining order in the country and along its borders with the forces of Estcarp so thinly stretched, Koris can spare few men to fight this Power. Nor can the remaining Witches be roused out of their collective sourness to go and see to the problem. That leaves the present company – excluding Koris and his wife, since they are both needed to maintain rule in Estcarp – to search out and destroy this evil power. Despite the Sulcar’s hostility toward Destree, Jaelithe makes it clear that the other woman is not staying behind. Knowing it’s better not to argue with a Witch, as much because they are often right as for the fact that doing so can be very unhealthy, the Sulcar captain grudgingly allows Destree to join the voyage. The Port of Dead Ships is the longer of the two short stories. On a personal note, I would recommend that no one read Dead Ships at night. Later on, it can get a little creepy. So if you are not the type of person who enjoys creepy stories, put the book down when it gets dark, otherwise you might just jump at every creak and bump in the night you hear. Norton was good at being scary when she chose to be. 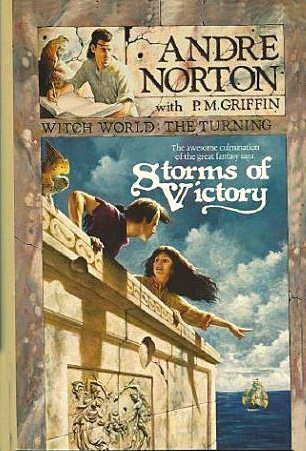 The second short story in Storms of Victory is by Pauline M. Griffin, a writer whose stories were published with the approval of Miss Norton in her books. Miss Griffin’s story is called Seakeep and has something of a cliffhanger ending. Nevertheless, it is one of the BEST additions to the Witch World universe I have ever read, and it is this story I have been working up to describing. Seakeep is the name of the story and of a small Dale in High Hallack. This Dale faces the sea (hence its name, Seakeep), and it is ruled by a woman. This is uncommon among the Dalespeople, since women from the ruling houses of the Dales are typically married off to increase their family’s land holdings. While Una of Seakeep was indeed married – well, that’s jumping ahead of the story. Seakeep was spared the ravages of the war with Alizon because it was too far north and too secluded to be much of a military threat or advantage. Despite not being physically devastated by the enemy, the Dale still lost many of its men during the war. The people of High Hallack learned early on that Alizon intended to wipe them out. So the Dale lords banded together to fight their enemy and, eventually, they drove them back across (or into) the sea. Seakeep’s few remaining men returned home, including Una’s father. But he could no longer rule his Dale; an injury during one of the final battles of the war had cost him the use of one arm and both legs. This led to him relying on Una and her mother, who died sometime later, to run his Dale. This was something that Una proved more than capable of doing. However, fearing that some outsider might force himself on his daughter, who was unwed, Una’s father married her off to his best friend and second-in-command, Lord Ferrick. Since marriage alliances are the norm in the Dales, Una did not mind this turn of events. Also, she had known Ferrick her entire life, which was more than many Holdwomen could claim. And because the marriage meant no greedy outsiders would gain control of her beloved Seakeep, she was content with the arrangement. But things soon took a turn for the worse as an epidemic struck the Dales. In some places, people got sick and then recovered to go about their lives once more. In other places, including Seakeep, many died of the disease. Most of Seakeep’s men, including the hale ones who had just attained manhood, went down fast and hard. Una also came down with the disease but fought her way out of it, only to find in waking that her husband and father had succumbed. This is a really bad idea, right? Falconers hate women. The idea that one of them – let alone a whole company of them – would swear sword oath to a woman is enough to make many, even among the Dalespeople, think that you are insane. But of the other companies of blank shields who still remain in High Hallack, Una knows next to nothing. How can she be sure that such blank shields, even if they were Dalesmen, would not be more trouble than they were brought in to fight? Falconers are not such an unknown. Once given, their oath is for keeps. They would sooner die than violate it in spirit or letter. If Una can get even a small company to guard her Dale, she need not fear that they will turn against her or abuse her people. The problem with the plan, of course, is whether or not the Falconers will even listen to her, let alone swear sword oath to her. If she cannot gain their support, then Seakeep is doomed. In Linna, a port town on the coast of High Hallack, a Falconer captain named Tarlach and his company of five hundred Falconers are trying to decide if they should ship back to Estcarp or remain in the Dales for some more time. But more rests on Tarlach’s mind than this problem. Since the Turning, the southern mountains of Estcarp’s borders have become unlivable. Foul creatures of the Dark, spilling over from the east or roused by the upheaval of the mountains, roam the area. The Eyrie – the Falconer men’s base in these mountains – is long gone, and the forced twisting of them has rearranged and made them treacherous. Without a base, without a home, the Falconer race may be doomed to extinction. Tarlach is soon roused from his gloom when fighting breaks out nearby as a gang of thugs attempts to capture a traveler. Thinking the traveler is a youth because of ‘his’ clothes, Tarlach and his lieutenant help the bystander fend off the attack. A few streets later, though, they learn they have rescued a woman – Una of Seakeepdale. I will avoid spoiling the rest of the story. If you want to know more, find Storms of Victory and start reading! And, as I mentioned before, Seakeep’s ending is pretty much a cliff hanger. If you enjoy Seakeep, then you will want to find the sequel to Storms of Victory, which contains the second half of the story. The sequel to Storms is Flight of Vengeance. I know neither half of this story will appeal to everyone, but all the same, I highly recommend both volumes. Have fun reading, everyone! I know I will! This entry was posted in Book Reviews and tagged Andre Norton, Book Reviews, Fantasy, fantasy books, Flight of Vengeance, Jaelithe, Kemoc Tregarth, Orsya, P. M. Griffin, Pauline M. Griffin, Sci-fi/Fantasy, Simon Tregarth, Storms of Victory, Witch World on May 8, 2014 by The Mithril Guardian.